How do I change a web user's password? Web users allow you to you restrict access to a directory on your Grid. You will need to already have a Password Protected Directory with a web user. For more information, please see this article: Password protecting directories. 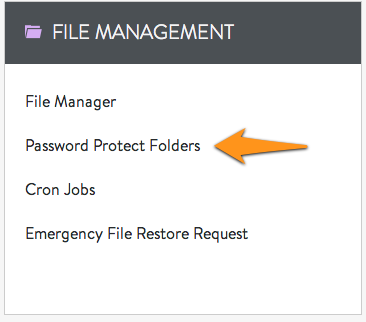 In the FILE MANAGEMENT panel, click on the icon Password Protected Folders. In the Web Users section, click the edit icon for the web user you'd like to modify. Enter your password twice, then click the SAVE button. Be sure to use a strong password.